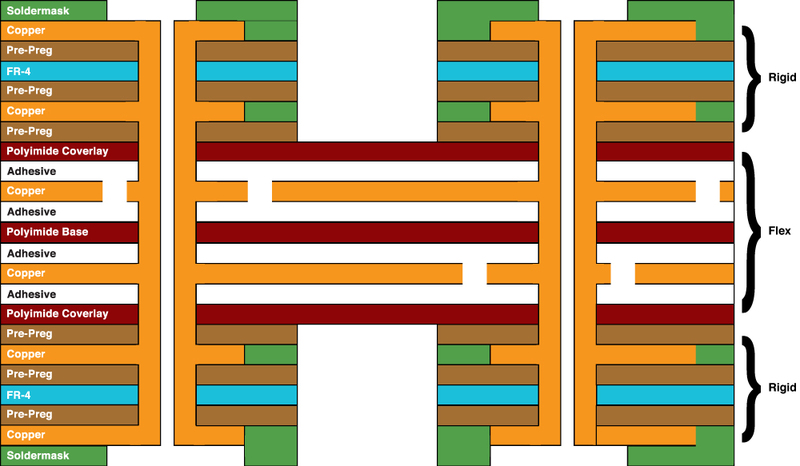 A four-layer combination rigid flex circuit has four conductive copper layers. Typically, a four-layer has two flexible layers and two rigid layers. Connection Reliability – Connecting rigid layers with flexible cables is the foundation for combination rigid flex circuits. 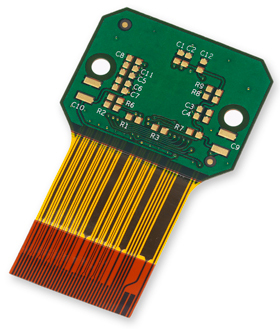 Lower Part Count – Compared to a traditional rigid board, combination rigid flex circuits require fewer parts and interconnections. High Density Applications – More often than not, the rigid component of a rigid flex circuit is utilized for high density device population. In addition, flexible circuits allow for minutely narrow lines giving way to high density device population. Denser device populations and lighter conductors can be designed into a product, freeing space for additional product features. 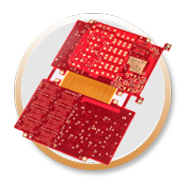 Package Size and Weight Reduction – Multiple systems in rigid boards create more weight and utilize more space. 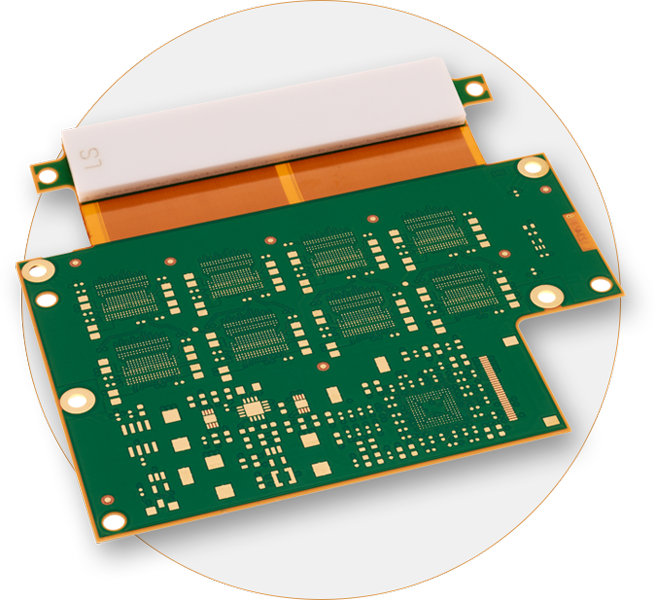 Combining rigid boards with flexible circuits allows for a more streamlined design thus reducing package size and weight. 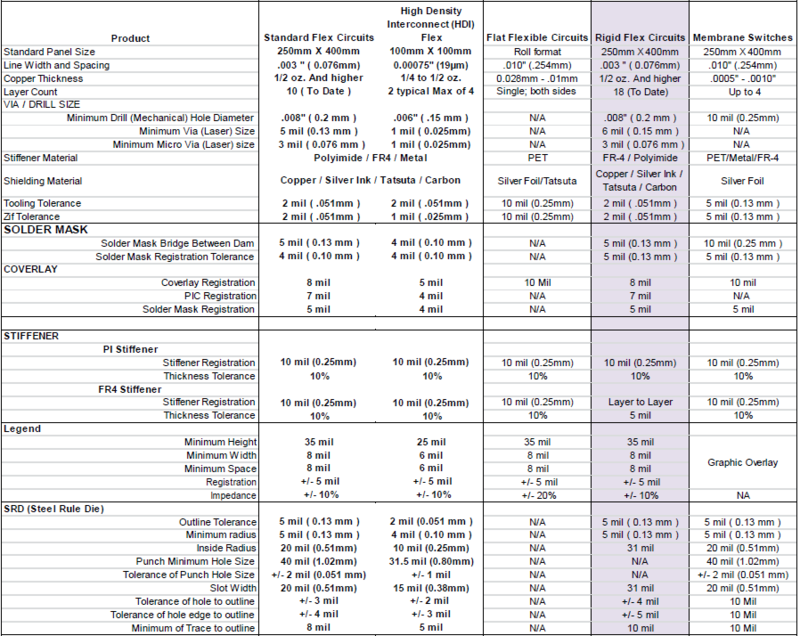 In summary, if you have Rigid flex design needs, FCT can help. Static Application – An application where flex circuits are needed only to install the circuit and fit it into its application (also known as flex-to-fit or flex-to-install). Dynamic Flexing Applications – A situation where the flex circuit area itself is dynamically flexed for any number of reasons above and beyond a simple install. Advances in rigid circuit board technology has broadened the applications on electronic products from computer, communication, and consumer electronics, to automotive, medical, and military electronics. Increasing demand for more powerful and smaller products drives the need for multiple layers to accommodate denser, finer line width and spacing and smaller hole sizes. 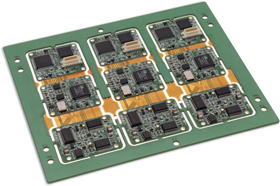 In summary, if you have Rigid flex design needs, Flexible Circuit Technologies can help. 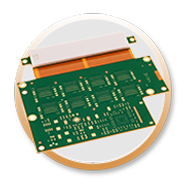 In summary, if you have rigid flex design needs, Flexible Circuit can help. Air Gap – Through the process of selective bonding, increased flexibility is achieved by “unbonding” layers so they are allowed to flex freely. At Flexible Circuit Technologies, we are proud to be a leading designer of this air gap technology allowing your designs more flexibility. 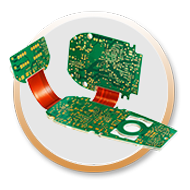 Component Assembly – Flexible Circuit Technologies offers through hole and surface mount capabilities, as well as in circuit testing, conformal coating and electrostatic protective packaging. Controlled Impedance – With increasing signal switching speeds, engineers need to understand and control the impedance of traces. 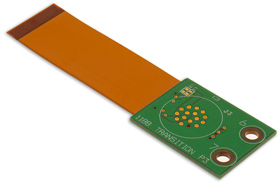 With short signal transition times and high clock rates of modern digital circuitry, traces need to be considered transmission lines instead of simple interconnections. With today’s higher speed requirements, controlled impedance traces are designed to minimize electrical reflections and ensure an error free transition between the track and interconnections. Controlled impedance, if perfectly optimized, allows control of the physical dimensions and material of the cable. Controlled impedance signal transmission requires flexible circuit materials to be uniform in both thickness and electrical properties. 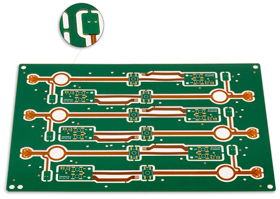 It is necessary that the circuit manufacturer accurately etch the copper foil to optimize impedance. Panelization – Multiple circuits are partially die-cut with break-out tabs to allow them to remain in the panel for component assembly during the “pick & place” and wave soldering processes. Once the panel of rigid flex circuit boards is assembled, simply clip them out by cutting the breakout tabs and they are ready for assembly into your final product. 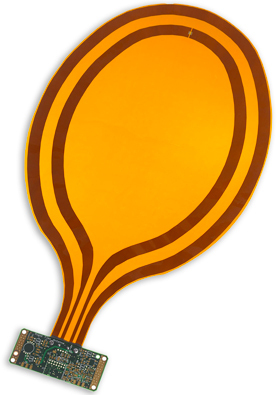 Pressure Sensitive Adhesives (PSAs)– PSAs with a release liner are used in applications where a portion(s) of the circuit needs to be secured to a specific location within the final product. During assembly, the release liner is peeled away and the exposed adhesive allows the assembler to press the circuit into place and keep it there. Shielding – Shielding is applied when an application requires limits in electromagnetic and/or electrostatic interference. Protective shielding can be patterned or solid. Either way, it reduces noise and controls impedance of signal lines. Repeatability is ensured through etching. 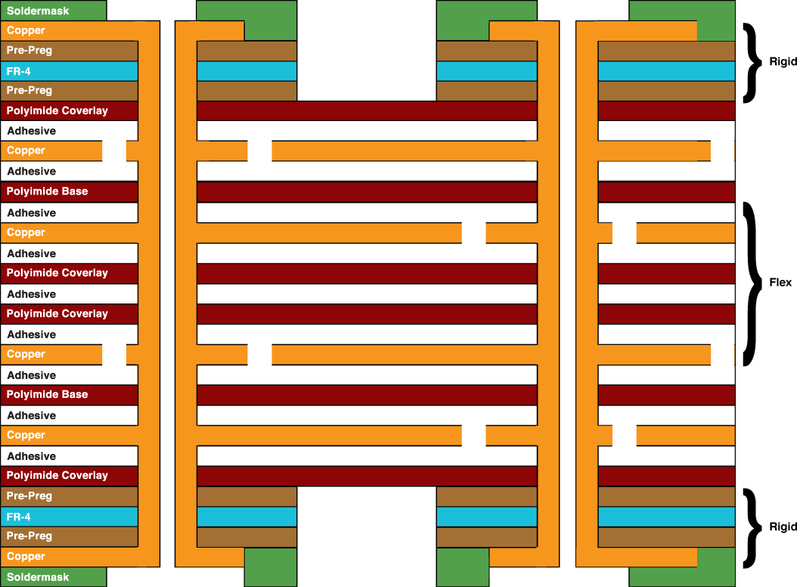 Four-layer combination rigid flex circuit has four conductive copper layers. Typically, a four-layer has two flexible layers and two rigid layers. 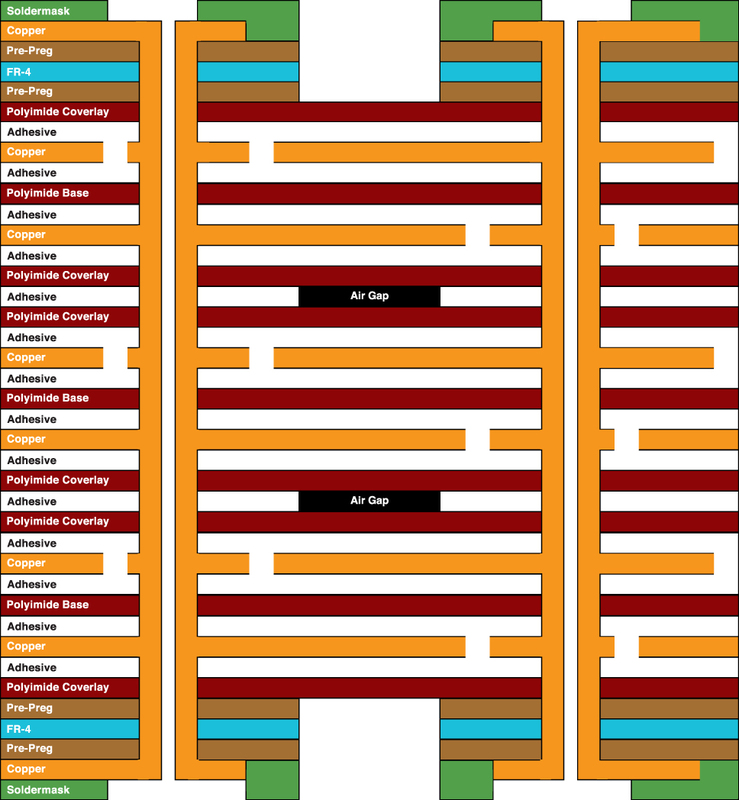 Six-Layer Rigid Flex: Two flex layers and four rigid layers. Six-Layer Rigid Flex: Four flex layers and two rigid layers. Eight-Layer Rigid Flex: Four flex layers with air gap and four rigid layers. 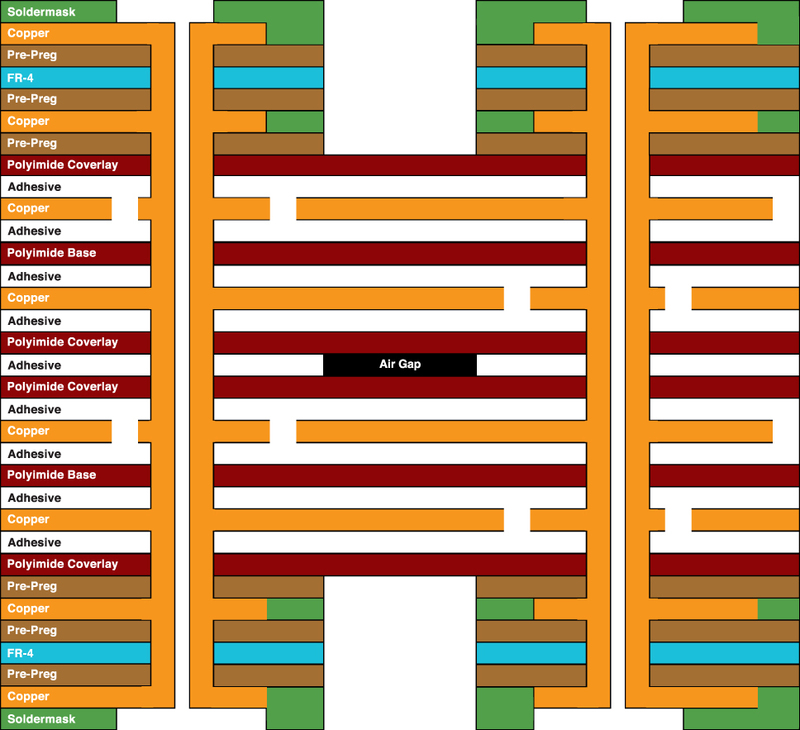 Eight-Layer Rigid Flex: Six flex layers with air gaps and two rigid layers.